Two cherries, for rifle bullet molds. 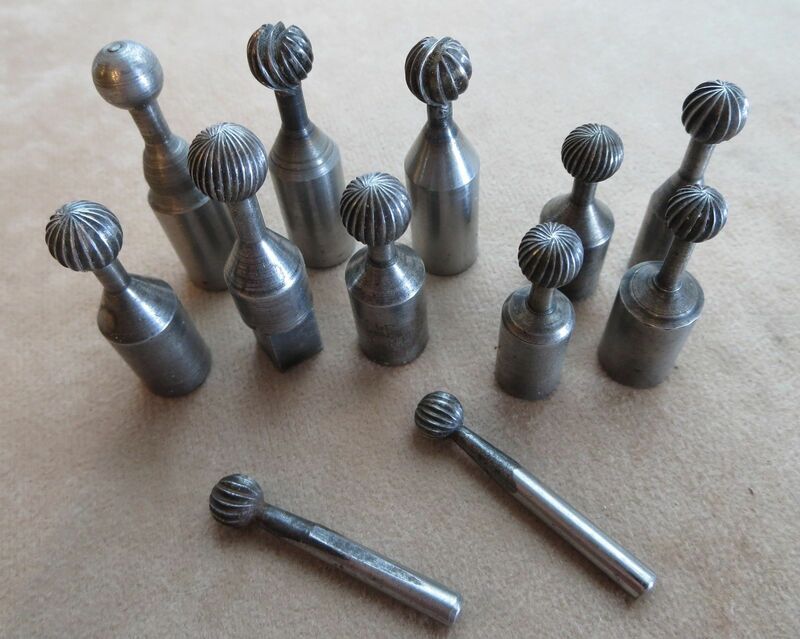 A dozen old cherries, for round ball molds. 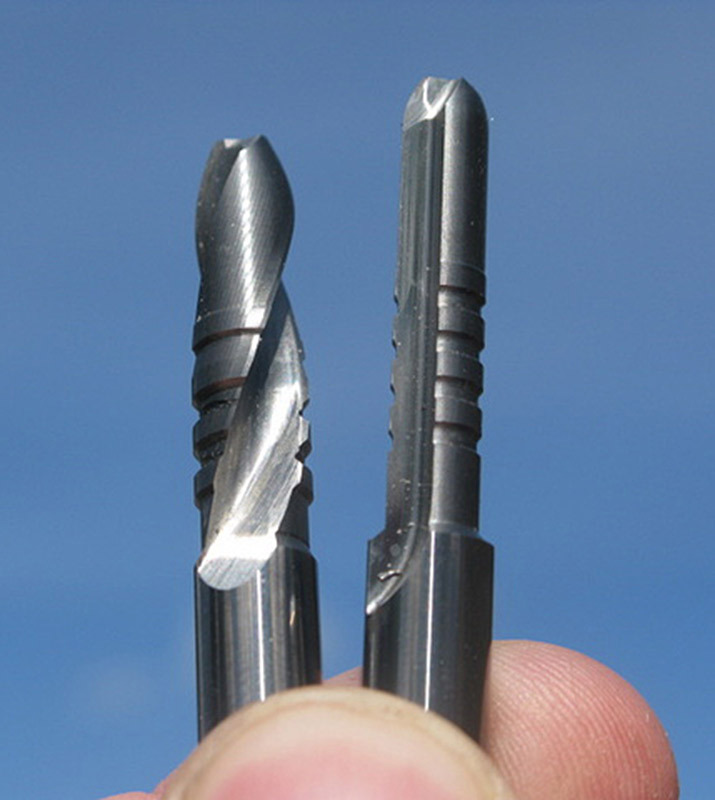 Cherry - A rotary machine-tool cutting bit, in the precise shape of a specific bullet. Used for cutting the internal cavity of a bullet mold.